Over the past twenty years the value of paper money has fallen markedly. Since September 1992, for example, the US dollar has lost 80% of its value, the Euro has lost 83% and the British pound 84%, and it’s a process that’s far from over. 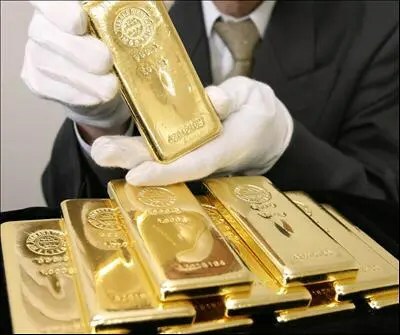 Investors and those with wealth are becoming increasingly aware of this threat and are opting to hold gold since it offers the ultimate store of value and hedge against inflation. In response to the global financial crisis, the United States, together with many other G20 nations, dramatically increased their level of debt. They did this in order to pump new money and credit into the global economy and avert a collapse of the financial system and global depression. Their actions prevented, or rather postponed, a collapse; however, they also turned a banking crisis into a sovereign debt crisis. Now, as part of the solution to their unsustainable levels of debt, and in an attempt to stimulate economic activity, these nations have adopted a deliberate policy of currency debasement. Herein lies the problem with today’s fiat (paper) money. Because it can be created at the touch of a button, it doesn’t provide a good long-term store of value, which is why more and more wealthy individuals and investors are swapping their dollars, euros, pounds and yen for gold. Although gold is a commodity and has some uses as an industrial metal, its primary role is as a monetary asset and it has served as money for thousands of years. “Gold was not selected arbitrarily by governments to be the monetary standard. Gold had developed for many centuries on the free market as the best money; as the commodity providing the most stable and desirable monetary medium.” Murray Rothbard. In the words of Winston Churchill, “All previous attempts to base money solely on intangibles such as credit or government edict, or fiat, have ended in inflationary panic and disaster”, and I believe that our current experiment with a faith-based paper money system will be no different. The United States, Japan, Great Britain, France and many other nations are in dire financial straits and their extreme level of indebtedness virtually ensures continued monetary debasement and, as the value (purchasing power) of paper money declines, so the value of gold will continue to rise. Ultimately our political leaders and finance chiefs will see sense, and return us to some form of sound money (likely backed by gold), but not until we have experienced a great deal more pain. In the mean time it is gold that provides the best protection from the collapsing value of our paper money, and that is why investors will continue to gravitate towards it. Previous What Should the New Normal Be For the Gold:Silver Ratio? Next GOLD Will Win Out Over the Current Concept of Money – Eventually!